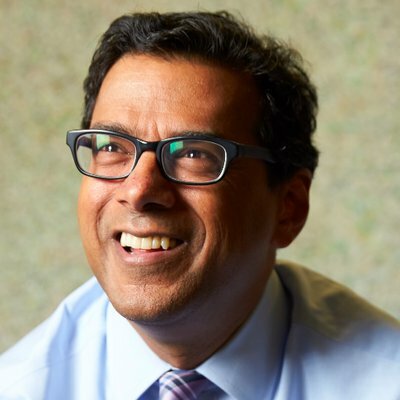 Atul Gawande is one of my favorite contemporary writers. Complications and Being Mortal are extremely thoughtful books, and I enjoy reading his New Yorker articles. A surgeon and researcher, he has a view on the world that is compelling and thought-provoking. He recently spoke at the UCLA Medical School graduation. The text is here. The speech has many great points, such as the need to treat people well, even if they do their best to alienate you. Hospitals are one of the very few places left where you encounter the whole span of society. Walking the halls, you begin to understand that the average American is someone who has a high-school education and thirty thousand dollars a year in per-capita earnings, out of which thirty percent goes to taxes and another thirty per cent to housing and health-care costs. (These Americans are also told, by the way, that people like them, the majority of the population, have no future in a knowledge economy, because, hey, what can anyone do about it, anyway?) Working in health care, you also know, more than most, that we incarcerate more people than any other economically developed country; that thirty per cent of adults carry a criminal arrest record; that seven million people are currently incarcerated, on parole, or on probation; and that a massive and troubling proportion of all of them are mentally ill or black. I hope you make time to read the speech. It’s well worthwhile.